William Hill Live Casino VIP Club - Play Live With Your £150 Welcome Bonus! Live Roulette, Live Baccarat and Live Blackjack! £150 match-up deposit bonus for players"
A staggering £30 free to try out William Hill Casino - No deposit! One of the largest and most trusted gaming brands in the world! Despite being one of the biggest names in gambling and online casino, William Hill Casino still wants to make its customers feel special by offering them a place in the William Hill VIP Club. LiveCasinos.co.uk knows that if you have ever spent a good amount of time at any online casino and still felt like you are still simply one of the crowd, perhaps the William Hill Casino VIP Club is for you. One of the best things about becoming a William Hill VIP is the fact that it is not based on how much money you have in your account or how much you tend to bet on Casino games; it is actually about how often you pay at William Hill Casino. Regular players who are loyal to William Hill Casino will be invited into the VIP Club and be made to feel like a valued customer. William Hill Casino has combined their Comp Points program with various levels of VIP membership to offer their regular players something in return. LiveCasinos.co.uk explains how this works: Every time you place a bet at William Hill Casino you will be rewarded with a certain amount of Comp Points. These points can then be exchanged for a wide selection of prizes and bonuses including cash. How the William Hill Casino VIP membership factors into this is that the more you play at William Hill, the fewer points you will need to exchange for prizes. For example, if you are a Bronze VIP member you will need 95 points in order to redeem £1 back into your bankroll. For a Silver William Hill VIP member it is 90 points, Gold VIP is 85 points, and finally Platinum Club VIP is 80 points. What standard of VIP member you are depends on how often you play at William Hill Casino and their account managers will send you an invitation when you qualify for the next level. When you reach Platinum club level, you will also qualify for exclusive and improved bonuses and promotions. Other than signing up with William Hill Casino and starting to play regularly there is nothing you particularly need to do to become a VIP member. Obviously you will begin at the Bronze level and William Hill's account managers will inform you when you have qualified. After you have qualified for that initial level, simply by being a loyal customer and continuing to play on a regular basis, you will then be informed every time you go up the level and your Comp Points to bonus ratio improves. 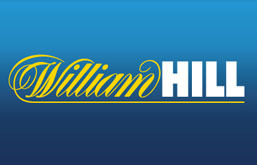 In other words, sign up, have fun and let William Hill Casino let you know when your bonuses get better and better.